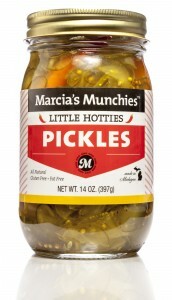 Thinly sliced pickle chips with a kick. 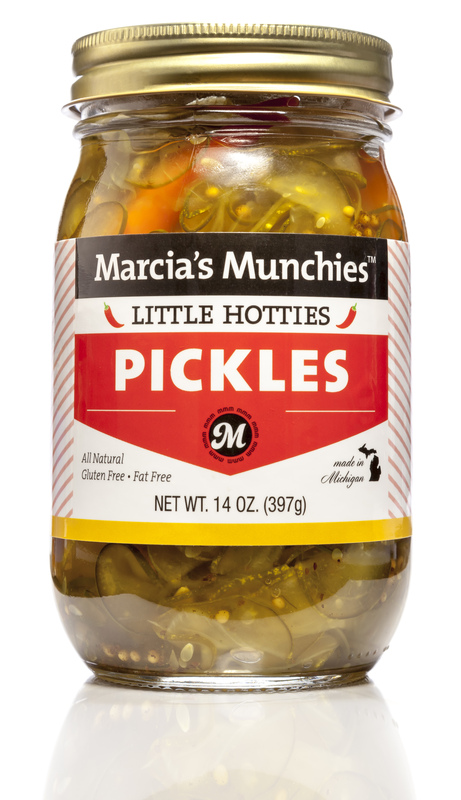 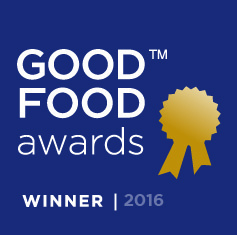 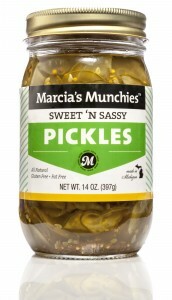 Marcia’s Munchies products are made fresh with all natural ingredients. 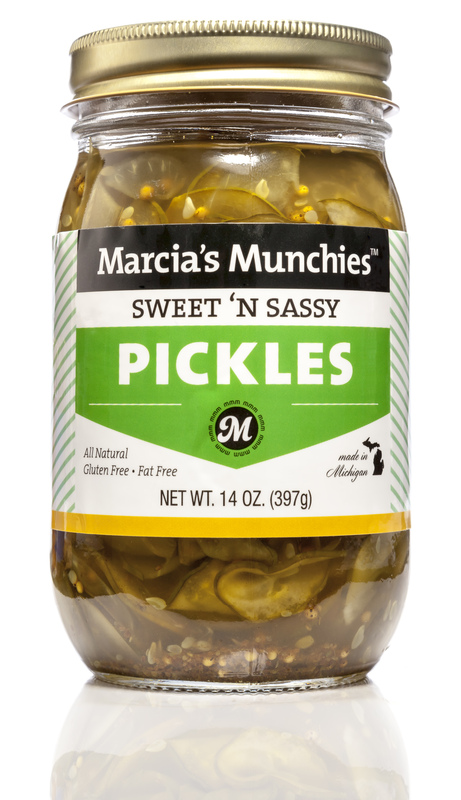 The pickles have zero fat and are gluten free.